Marlow B. Hooper is an Associate Attorney at Cuddy & McCarthy, LLP. Prior to joining the firm, he worked as an Assistant District Attorney for the First Judicial District Attorney’s Office, where he prosecuted felony and misdemeanor crimes in Santa Fe and Rio Arriba counties here in New Mexico. During his time as an ADA, Mr. Hooper gained extensive courtroom experience, which included handling numerous jury trials in both district and magistrate courts. In May 2010, Mr. Hooper received his Bachelor of Arts degree in Business from Holy Names University in Oakland, California. In May 2013, he obtained his Juris Doctorate degree from Florida A&M University College of Law in Orlando, Florida. While in law school, Mr. Hooper was commended by the University for being one of two students to receive the highest grade in his second year Trial Practice course. He also had the opportunity to attend a day of the Casey Anthony trial at the Orange County Courthouse as an observer. Before his third year of law school, Mr. Hooper gained invaluable motion practice and jury trial experience as a Certified Legal Intern with the Ninth Judicial Circuit Office of the State Attorney. 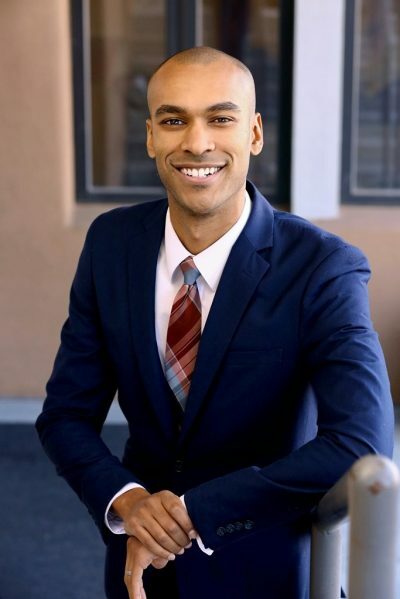 Upon graduating law school, Mr. Hooper worked as a Law Clerk at a prominent Labor and Employment law firm in Southern California, where he gained substantive civil litigation experience. Mr. Hooper is an Associate member of the Oliver Seth American Inn of Court. Mr. Hooper is admitted to practice before the state courts of New Mexico, the United States District Court for the District of New Mexico, and the United States Court of Appeals for the Tenth Circuit. He is also admitted to practice in Minnesota (voluntary inactive). His practice areas include education law, employment law, family law, civil litigation, and criminal defense.